Bethlehem, Pennsylvania, is a city that became well known throughout the country for its industrial history. For almost 100 years, the city revolved around the Bethlehem Steel plant, which employed tens of thousands of residents from Bethlehem and the surrounding area. The steel made at the plant was used throughout the entire country, making Bethlehem, PA an important part of American development and industry. The plant was permanently closed in 1995 and was transformed into a cultural center that celebrates a variety of different art forms. The city has many well-preserved colonial buildings, and quite a number of them are available for touring. A visit here is perfect for those who appreciate the arts or are interested in colonial or industrial history. 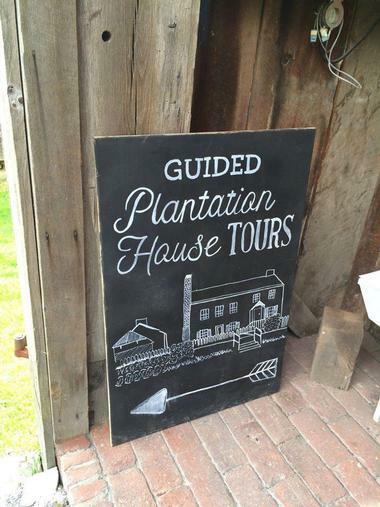 Burnside Plantation is an historic farm that was established in 1748 and has since been restored. It was the first privately owned home of James and Mary Burnside, who were Bethlehem Moravians. Today, the plantation has the farm’s original home, several barns, and a variety of out buildings. The property also has one of the country’s only horse-powered wheels that is still in operation. A variety of events occur at the plantation throughout the year, including workshops hosted by master gardeners from Penn State. There are also live cooking demonstrations and tours of the farm. The Open Gate Farm Tours are some of the most popular activities and include a variety of farming demonstrations, guided farm tours, and much more. 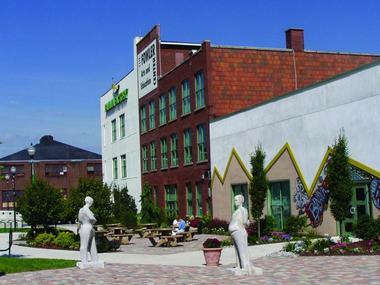 The Banana Factory Arts and Education Center is an art gallery, classroom, and studio space located inside a former banana distribution warehouse. A variety of arts-related organizations share space across six different buildings. It is home to the ArtsQuests visual arts programs, 30 artist studios, three different art galleries, and a number of classrooms. The Pennsylvania Youth Theatre, offering performing arts classes to students aged 6 to 18, is located here. The artists hold an annual gallery show as well as First Friday events throughout the year, where the public can come and enjoy art for free. The Kemerer Museum of Decorative Arts is an art museum spread across three homes from the 19th century. The museum is the state’s only museum of decorative arts and is one of only 15 such museums in the whole country. 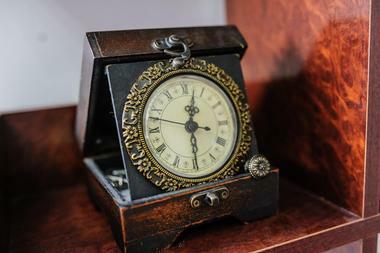 The three interconnected homes have a variety of period rooms, rotating exhibits, and galleries that showcase furniture, china, flatware, artwork, and clothing from three centuries. The museum clearly illustrates the changing style and design trends over a period of 300 years. The property also has a Scott Rothenberger-designed garden that utilizes both contemporary and traditional elements and makes for a great space for special events. Bethlehem’s Colonial Industrial Quarter is an historical site that preserves the earliest industrial park in the country and is part of the larger Historic Moravian Bethlehem National Historic Landmark District. The Moravians built the site near a spring and along Monacacy Creek, which provided power for a variety of different industries that came to be based here. Initially, the buildings were small wooden structures, but within a couple of years they had built the area up to include saw and soap mills, wash houses, a grist mill, a blacksmith shop, a tannery, and a brass foundry. 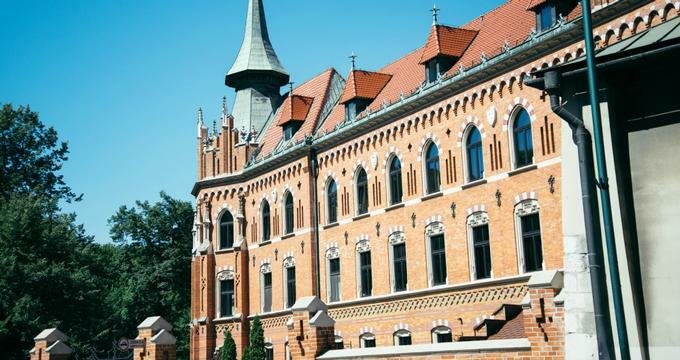 The buildings fell into disrepair over time and were revitalized and restored in the second half of the 20th century. Today, visitors can tour many of the buildings and ruins to learn about the area’s history. There are a number of interesting historical attractions located in Bethlehem. It’s quite possible to pick and choose what you want to see as you explore the area, but for those who prefer a simpler approach, a tour can be just what you are looking for. Historic Bethlehem Tours offers walking tours, custom tours, and special seasonal tours of historic Bethlehem. They have a number of theme-specific tour options that visit different sites around town. Some examples include the 1752 Apothecary Tour, the Christmas City Stroll, the Death and Dying Cemetery Tour, and the Colonial Industrial Quarter Walking Tour. The Hoover Mason Trestle is a 1,650-foot elevated park that sits on the reclaimed site that was formerly home to Bethlehem Steel. The trestle was once used by a narrow-gauge railway to transport the raw materials needed to make iron from the ore yards to the furnaces. Today, it stands as a public walkway that is at the same time a museum and a recreation space. A visit to the site affords visitors the unique opportunity to get a close-up view of the blast furnaces and the gas blowing engine house. There is a visitors center on site that has information, souvenirs, and tours available to visitors. Lit Roastery and Bakeshop is a coffee shop and bakery created by a collaboration between the Made By Lino bakery and the Monacacy Coffee Company. The shop specializes in fresh-roasted in-house coffees, pour-overs, French macaroons, and a variety of other fresh-baked items. Virtually everything is baked, cooked, and roasted in house, and they pride themselves in making especially high-quality coffee beans and coffee drinks. The coffee shop usually has approximately eight different varieties of coffee available, and they use a refractometer to adhere to quality standards. The space is a nice place to sit and spend a few hours while you enjoy some freshly made items. The Moravian Museum of Bethlehem is a historical landmark that features several buildings from the 1700s. Tours of the buildings are available, and tour-goers will learn a great deal of information about the town’s early settlers and its history. The Gemienhaus is one of the highlights of a visit here. It was built in 1741, making it the oldest building in Bethlehem. Today the five-story log home contains a museum that tells the stories of the Moravians who founded the town. The large, multi-purpose building also has the distinction of being the largest log building from the 1800s in the entire country. The site also has a drug store from 1752 as well as other interesting 18th century buildings. The National Museum of Industrial History is located in the former location of Bethlehem Steel, which was historically an industrial powerhouse. 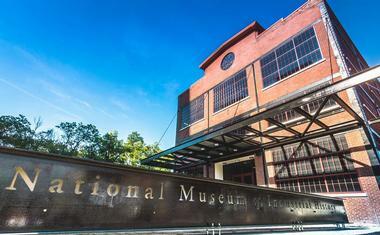 The museum is an Smithsonian-affiliated institution that is dedicated to preserving and displaying industrial artifacts as well as educating the public about the nation’s industrial history. The museum has a number of different exhibits that represent the propane gas, textile, and steel industries as well as a nice collection of industrial machinery that was loaned to the museum by the National Museum of American History. There are four main exhibits, each of which showcase a different part of the nation’s industrial past and the way that these industries have impacted the state and the nation as a whole. Nuts About Ice Cream is a premium ice cream parlor that makes homemade ice cream in-house. They specialize in exotic flavors of ice cream, sorbets, and yogurt. The recipes are based on family recipes that have been passed down through generations of the family and influenced by the Joshi family’s travels across the world and education at the Penn State Dairy School. Their flavors include traditional favorites like vanilla, chocolate, and strawberry, but the real stars are the more exotic and one-of-a-kind flavors like chocolate raspberry truffle, cardamom kulfi, and saffron pistachio. If you are missing your Nuts About Ice Cream fix when you get home, don’t despair, they will deliver your favorites straight to your address. Fegley’s Brew Works is a brewery and pub that provides a warm brick-walled environment to enjoy microbrews, burgers, and happy hour. Since it opened in 1998, the Brew Works has quickly become a popular bar and restaurant among locals and visitors alike. The restaurant is family friendly and offers services for special events and catering. The restaurant is quite popular and often has a long wait. Favorite menu items include the Fegley’s beer battered fish and chips, the Brewers’ grain-fed burger, and their loaded nachos. For drinks they offer a variety of their own brews as well as local mead, local spirits, and other cocktails and wine. 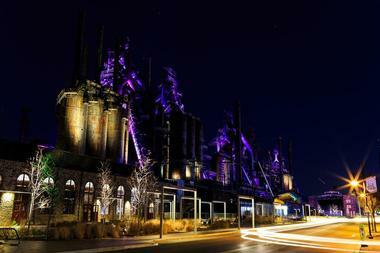 SteelStacks is a cultural center that contains both indoor and outdoor venues spread across a 10-acre campus. The center occupies the site of the former Bethlehem Steel plant, which has been renovated as a space for the community to celebrate arts, culture, education, and fun. More than 1,000 concerts are held here each year, in addition to several different annual festivals and a large number of private and public events. The space is named after the tall “stacks,” which are the five blast furnaces that were used by Bethlehem Steel for several decades. A visit to SteelStacks is encouraging because it is an example of disused industrial space being transformed a vibrant and beautiful part of the community. 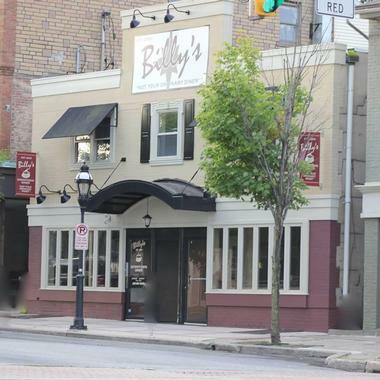 Billy’s Downtown Diner is a small, local diner with locations in Bethlehem, Allentown, and Easton. The diner serves basic diner meals with a bit of flair. You’ll find all of your classic favorites on the menu alongside quirky dishes like pink-lemonade pancakes and omelets with mango. It is a favorite among locals and visitors alike for its unfussy atmosphere and reliably delicious food. The menu includes breakfast, lunch, dinner, dessert, and a variety of beverages including coffee drinks, tea, lemonades, and hand-spun milkshakes. There are vegetarian and healthier options available for those who are careful about what they eat. The Sands Casino is located within the Sands Casino Resort, which is a four-star casino hotel located at The Outlets at Sands Bethlehem. The casino is quite large, covering 150,000 square feet, which is approximately the size of three football fields, and you’ll find quite a lot under one roof here. Gaming options include more than 3,000 slot machines in the casino as well as nearly 40 live poker tables in their popular Sands Poker Room. 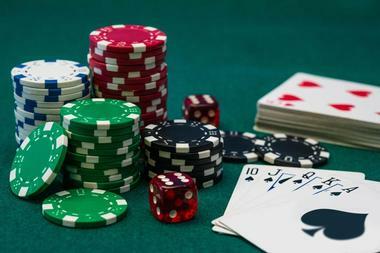 The 180 live table games will give you plenty of blackjack, craps, and roulette action. Hotel rooms here will cost you a pretty penny, but the proximity to the games and entertainment makes it worth it.